CenterShot 24 $335.00 -- Sold Out! 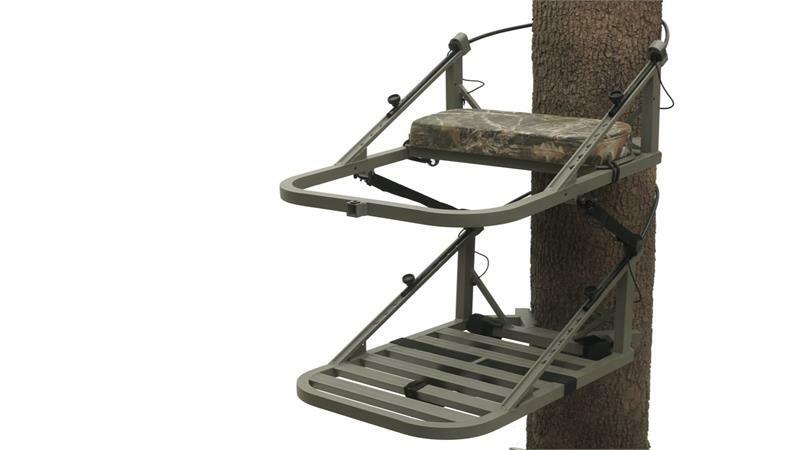 The 'SwiftLoc' CenterShot™ utilizes the patented SwiftLoc Cable Technology for one of the easiest, fastest, and safest connections of cable treestands. 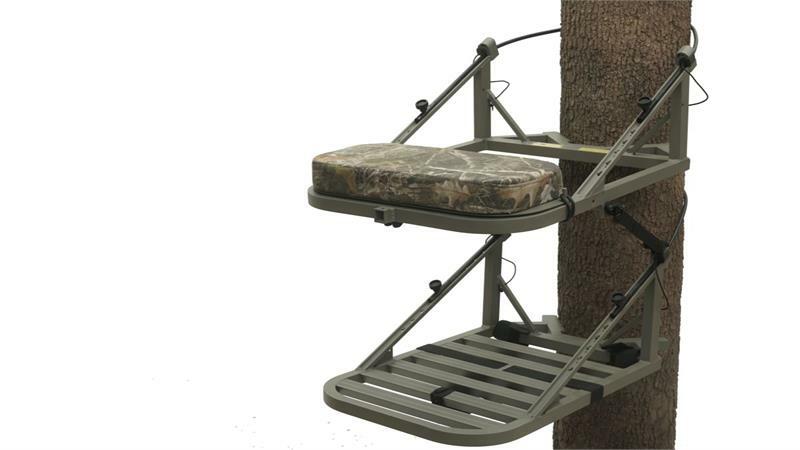 Unlike the Equalizer® Leveler Climbing Treestands, the Centershot™ does not allow for adjustment of the cable while on the tree, and must be started at an angle in order to compensate for tree taper. 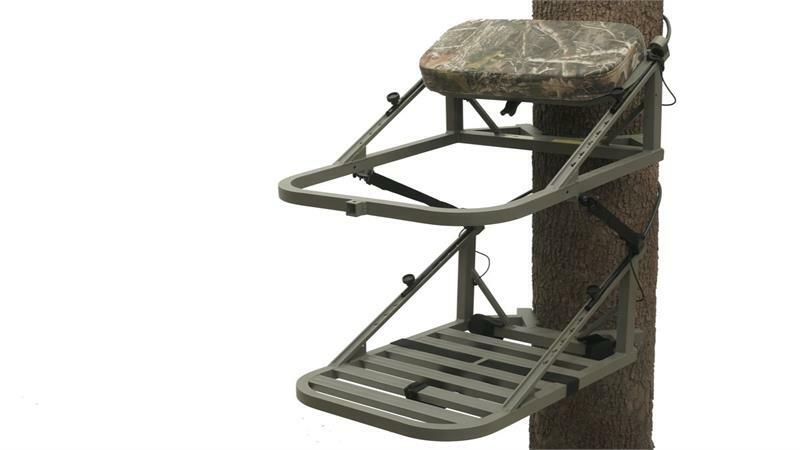 Comes complete with the 3-way movable Bench Seat to hunt either facing tree, back to tree or standing lean post position.